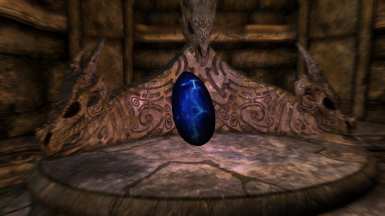 This mod adds Dragonling Eggs, which are not true dragon eggs but their magically coalesced knowledge taking physical form, which you can use to level up a skill. Right on time for Easter! 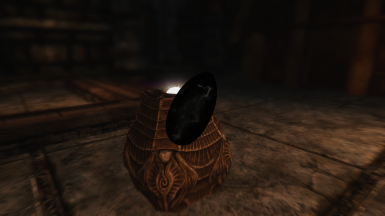 This mod adds Dragonling Eggs, which are not true eggs but rather a dragon's knowledge magically taking physical form. If left to age long enough, they're said to eventually form Dragonlings, a lesser separate species from dragons. You, however, can use the knowledge yourself. 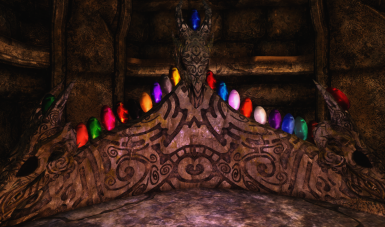 The eggs have about a 50% chance of one dropping on a dragon. 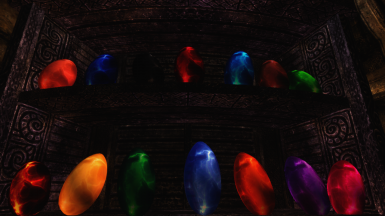 If you can't get any to drop, there may be another mod you have that edits their leveled lists and is conflicting. You can try using Wrye Bash. 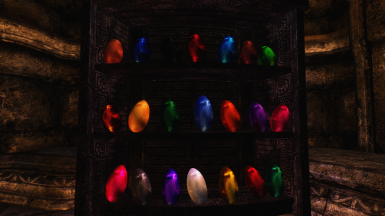 I have around 200+ mods, several of which edit dragon leveled lists, and had no issues, however. 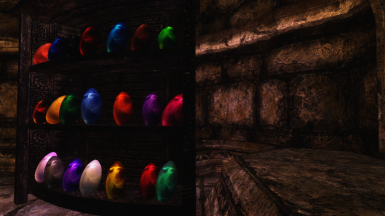 There is one egg for each skill and one for health, magicka, and stamina, with 21 total, all classified as "Potions". If they don't level you up right away upon use, you may be bogged down with too many scripts. I have 200+ mods, several of which have heavy scripts, and had no trouble, though. Thanks to EpicCrab for the scripting help!